well folks, it's that time... letting this whole project take a long lunch break. come to our last show! 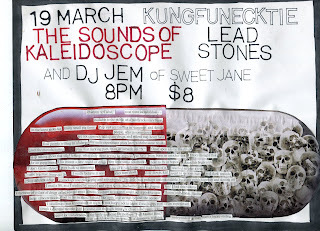 it's at kung fu necktie on the 19th of march. we hope to see you there! yes, yes, we're excited about tomorrow's show at the north star bar with our friends Hott Tubb and Tours! I do believe doors are at 9 and it should be a very fun night indeed. And for tonight, Captain Marbles (DT) is DJ'ing with the Hott Tubb fellas during the Lead Stones show with a special solo set from Gerhardt! back to back hangs- hope to see you... at both! 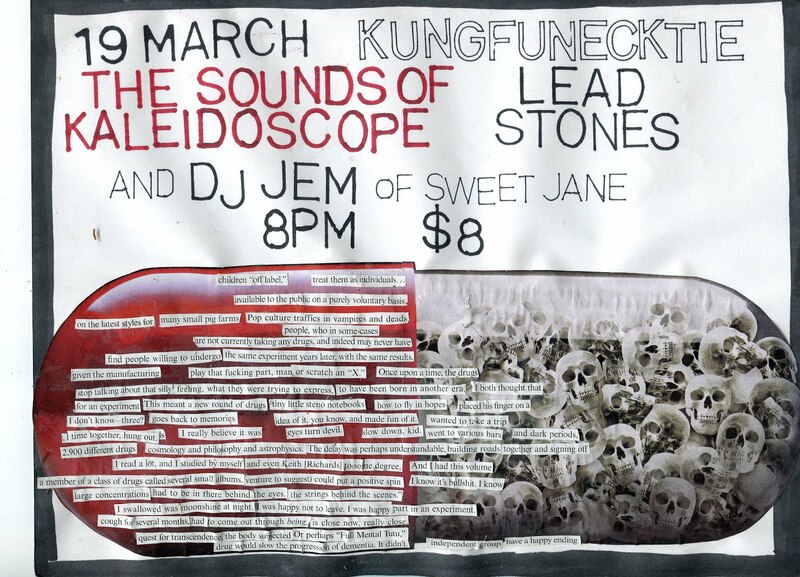 we'd say just go to the site and check it out on yr own, but we don't show up in their search engine for some reason, you have to search for "kaleidoscope" which, as you know, is only one-fourth of our band name. 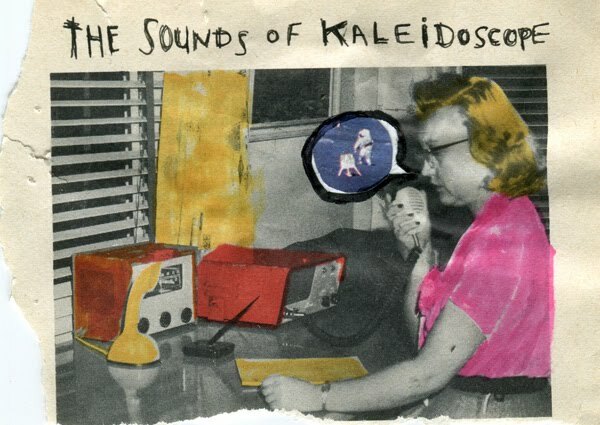 I'm in the process of compiling old cassettes, singles, and comp-tracks for a digital download collection "Obscurio Cabinet" Which should be available online in the coming months. I have to sift through another two shoeboxes full of unmarked fourtrack cassettes and test mixes and countless other medium to get the best selection together. A somewhat daunting task in and of itself, before ultimately digitising and mastering the whole thing; while also beginning the demo process of our new material. Weird Work Ahead! As above, so below. here are links to listen to, just in case you missed the chance to acquire the actual items. We'll keep you updated here when we find the right people to handle the reissues, or stumble upon a box of money somewhere in our travels. pic by Matty Taylor, some grassy spot in MO.